Almost two thousand years ago, God made Himself known to all people. In this event, a good God reorders the entire world. He announced Himself to us by raising this man in 1st century Palestine, Jesus, from the dead. He died, was buried, but rose from the dead three days later, leaving an empty tomb and many witnesses of His return (1 Corinthians 15:3-7). Death could not hold Him. Only God has the power to raise someone from the dead, three days in the grave. This is the “one sign” to the world (Matthew 12:38-42). Far from evidence free beliefs, this sign is a miracle with evidence preserved and growing to this day. I’ve written about this evidence before; and this evidence is the tangible proof that God exists, is good, and wants to be known. In what way, does this world reordering event reveal that God is good? Fear, violence, and unbelief echo in the events leading up to His death. The whole world, both Jews and Gentiles, conspire to murder him. One of his followers, Peter, rises to Jesus’ defense with a sword (Matthew 26:50-55), boldly meeting violence with violence, as is our way. As soon as Jesus asks Peter to lay down his sword, his followers scatters in fearful unbelief. The goal of maintaining peace, a counterfeit peace, justifies murdering the One who is reordering the world. Then, Jesus is unjustly put to death, publicly executed on the cross. This method of execution was intentionally humiliating, painful, and long. Then, three days later, Jesus is raised from the dead. What will He say? What will He do? Will the One with authority and power come back to end those who unjustly took His life? Will He demand justice? Or return violence to violence? Or meet power with power? When we are wronged, our blood calls for justice, but His blood calls for peace. He could have demanded for justice, screaming in anger at their unbelief, adding to their fear with roars of power. No. Instead, His blood speaks a better word over us (Genesis 4:10-11; Hebrew 12:24). Even in His return from death, Jesus lays down his claim to justice against us. He is powerful, but He does not force. He answers our fearful, unbelieving violence with gentle invitation to fearless peace. We attack and abandon Him, and He loves us in return. His enemies become HIs family. The God we find in Jesus truly is good, unimaginably good. Violence and fear are self-reinforcing. They are different sides of power wrongly used, and cause more of the same. Violence is power used against us wrongly, and it grows our fear. Our fear seduces us to violently use our power against others too. This fallen conflict is the way of the world. It wounds us, leaving us injured, and subject to this continued cycle of fear and violence, violence and fear. Jesus bears the worst of our violence; our injustice wounded Him. In the moment He rises, his wounds are healed, not erased but healed into fearless scars. Jesus invites Thomas to put his hands into the scars (John 12:27), welcoming doubters into the same place where He was injured. He remembers the injuries, but He is greater. He lays down his life willingly, and the wounds for our injustice become marks of His love for us. Jesus suffers our violence, but responds with a word of peace. He lays down His power, His rights, His claim to justice. Then invites us to do the same. Choosing an identity greater than our injuries, we might enter into more suffering too. We have been wounded, but are sensitive wounds are healed into fearless scars in the Resurrection. This is the call to peace. A call to fearlessly renounce our claim to justice, to fearlessly enter suffering, to fearlessly lay down our power. The scarred Man from Palestine, He speaks a word of peace. We follow Him as we heal from our injuries, turn from fear and violence, offering our own word of peace alongside Him. The great and tiresome Creation War also echoes with fear, violence, and unbelief. In advocating a “confrontation” approach to science, one author asserts what many falsely believe: Jesus charged the disciples with “guarding” the “truth” with their lives (Theistic Evolution, p. 103). This teaching supposedly applies to arguments for design, not to the confession of the Resurrection. Jesus, however, never taught this lesson. Instead, He declared Himself as Truth incarnate (John 14:6), and He does not need our defense. When Peter leaps to defend Truth, it reveals his unbelief, not his obedience. He forgets, as we also forget, no earthly power can hold the One who rose from the dead. Forgetting who He is, we slide into the same cycles of fear and violence, lost in unbelief. We are often fearful. Atheists, evolution, and the erosion of our power threatens our confidence. 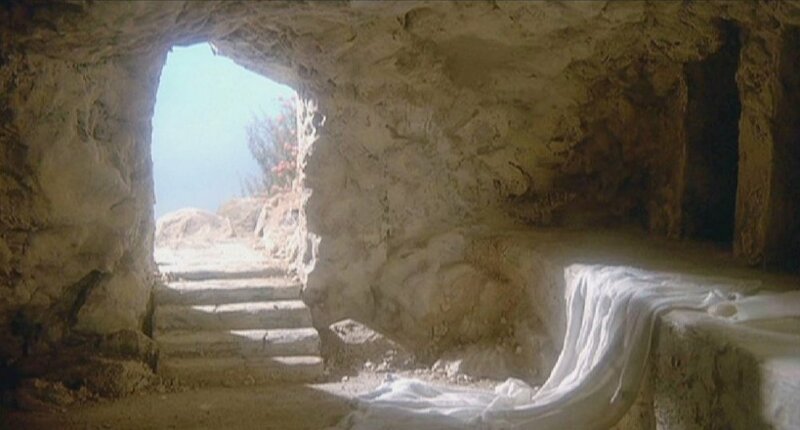 We forget the One who rose from the dead is greater than anything we find in science. Through Him we gain access to power that does not fade. Nothing valuable is at risk. He needs no defense. We are often violent. Like Peter with his sword, we feel the One who rose from the dead needs our defense. We fear our human debates threaten Him. Our fear justifies dishonesty, anger, and the effort of human power on behalf of the helpless Jesus we imagined. Our fear justified fierce exclusion of those with whom we disagree, dividing a gain the Body of Christ. Whether it is creation science, intelligent design, or evolutionary creation, we forget that Jesus is greater. We are often unbelieving, doubting in our moment the power of the Gospel, the message of Jesus risen again. We seek to add to it with the human effort to study nature. Arguments for and against evolution silences our confession of Jesus in the public square. Let us look for something greater than man’s effort to study nature. Let us, instead, confess God’s effort to reveal Himself in Jesus. The One we find in Scripture is powerful, with all authority, and unthreatened by our arguments. He is the One greater than all we find in science. Now, He is living and active in the scientific world. God has chosen to make Himself known through the living story of Easter. He does not need our defense, but He does ask for our confession. Let us make a public confession, even though it implicate us. We are dissidents in the scientific world. We admit we found something greater than science. We believe that God rose Jesus from the dead, and we are guilty of seeing Him too. Let us lay down our fear. Let us turn from human power. Let us trust in Him. Let us turn from defending the weak and powerless Jesus of our invention, nothing like the One we find in Scripture. Against our instincts, come let us lay down our swords. Jesus, the Prince of Peace, He speaks a better word.